At TdD Attorneys at Law LLC in St. Louis, Missouri, our law firm is dedicated to helping clients who face real estate or probate issues or wish to develop comprehensive estate plans. Ted Disabato, our founder, is not only a highly experienced attorney, but also a licensed real estate broker, mortgage loan originator and title insurance provider. Consequently, we offer comprehensive legal and real estate services to our clients throughout the St. Louis metropolitan area. 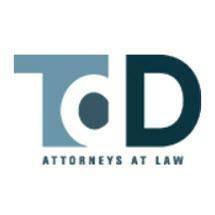 At TdD Attorneys at Law LLC, our law firm's attorneys are committed to setting the standard in client services. We take a hands-on approach with each client, making sure to listen to his or her goals, objectives and concerns, consider all available options, and devise the best strategy for achieving those goals. Whether an individual, a family or a business, we give each client our full attention. We also accept credit cards for our clients' maximum convenience.